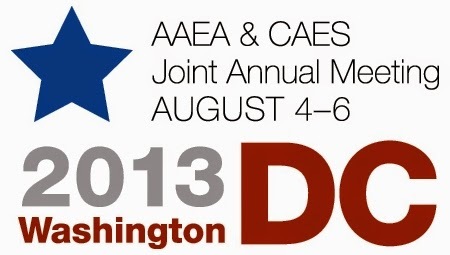 Issue 4 of Agricultural Finance Review contains papers presented in the Agricultural Finance and Management (AFM) Section paper session of the 2013 Agricultural and Applied Economics Association (AAEA) annual meeting, August 4-6, in Washington DC. We are pleased to offer the AAEA members special access to these 4 papers until 30th November. 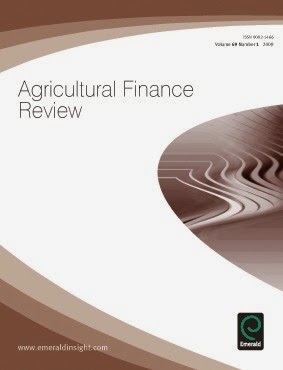 Agricultural Finance Review is the only journal dedicated to the publication of issues related to agricultural finance in its entirety, and contributions come from academic and industry experts across the world. To receive publication alerts for new issues of the Agricultural Finance Review visit https://www.emeraldinsight.com/action/registration and set up a profile. Section 1 – Papers from 2013 Agricultural and Applied Economics Association (AAEA) Available until 30th November. Are agribusiness stocks an investor safe haven?